Jay joined Meadows & Ohly, LLC in 2003 and became a Partner of the firm in 2006. While Jay is active in all aspects of firm leadership, he serves Meadows & Ohly's clients through the areas of strategic consulting, feasibility, acquisitions, development, financing, portfolio management, leasing and partnership arrangements. He also leads Meadows & Ohly's business development activities. Jay has actively participated in the development of projects ranging from a $4 million single purpose medical office building to a $28 million project including an 800-car parking deck and 135,000 square foot medical office building. He has also been involved in acquisitions totaling $125 million and procured financing in excess of $175 million of medical office assets. Jay is married and has two children. He is an active member of Alpharetta United Methodist Church, serving through various roles. Jay is also active in various youth sports and activities. He enjoys outdoor activities, golf, football, baseball and spending time with his family. Jeff joined Meadows & Ohly, LLC as a Partner in 2018. He leads M&O’s Strategy and Business Development activities. In addition, he is responsible for M&O’s Advisory practice. Jeff is a seasoned healthcare operations and strategic advisor that has spent the last 25 years working with health systems, hospitals and physician practice organizations. Jeff has deep advisory capabilities and experience in providing solutions that drive efficiency, improve performance and create strategies which help healthcare organizations achieve results. Specifically, he has extensive experience in leading performance transformation, merger integration, physician alignment, market assessment and due diligence efforts and setting the strategic platform for health systems / hospitals and physician organizations. Before joining Meadows & Ohly, Jeff was a Senior Managing Director at FTI Consulting and held the same position at Navigant Consulting. He began his advisory work as a Consultant with Arthur Andersen. He launched his healthcare career working in hospitals including WellStar Cobb Hospital in Austell, GA and Baptist Health System in Jacksonville, FL. Jeff is active in numerous healthcare care professional organizations and associations, including HFMA, ACHE, GHA, VHHA, NCHA, FHA, KHA, and has presented and been published on numerous occasions related to health care market issues, opportunities and trends. 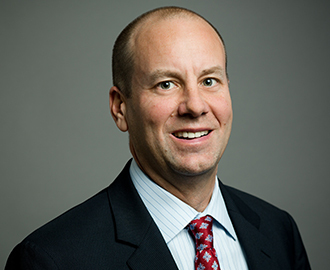 John joined Meadows & Ohly, LLC as Director of Asset Management in 1997, became a principal of the firm in 2001 and currently serves as M&O’s Chief Operating Officer. During his career at M&O, John has served clients in the core areas of portfolio and asset management, leasing, construction, operating efficiency improvement, and other real estate consulting. In his current role, John is responsible for strategic oversight of M&O’s corporate administration and its Manage Services Group which includes portfolio management and leasing, construction management and lease administration services. John and his wife Juli have three children. They are active members of Northpoint Community Church. Parker joined Meadows & Ohly, LLC in 1998 after working as a consultant in the healthcare industry. He has held various positions within the firm, and now leads Meadows & Ohly's Charlotte office. While involved in all aspects of our business, including development, asset management, and leasing, his primary areas of expertise are in the operational and delivery facets of our business including: design, construction, and property management. Parker has personally delivered and managed healthcare facilities valued in excess of $500 million. These projects have varied in complexity from replacement hospitals, research laboratories, diagnostic imaging centers, ambulatory surgery centers, to typical medical office expansions. Parker is married and has two children. He is an active member of Matthews United Methodist Church, where he has served in various leadership roles. In his spare time, he enjoys spending time with his family outdoors. Travis joined Meadows & Ohly in 2007 as Director of Construction Services after several years managing healthcare construction projects for large commercial general contracting firms. Travis has more than 20 years of experience in commercial construction, the majority of which has been serving the healthcare industry. His portfolio of work includes medical office buildings, parking decks, ambulatory surgery centers, diagnostic centers, skilled nursing, assisted living, radiology practices, wellness centers and hospital expansions. During his tenure as a general contractor, he managed in excess of $225,000,000 worth of medical related projects. Since joining M&O Travis has managed the design and delivery of 10 medical office building projects totaling more than 1 million SF. Travis brings to our clients the experience of a commercial contractor with expertise in construction scheduling, budgeting, cost control, construction methods, site logistics, designer & contractor contract negotiations/procurement. Travis was named Vice President of Construction Operations in 2015. He is responsible for the management and delivery of design and construction services. Travis and his wife Monica have two wonderful children and are members of St. Brigid Catholic Church. He enjoys running, camping, hiking, traveling, and having fun with his family. Van joined Meadows & Ohly, LLC in 1994 and became a Principal of the firm in 1995. Van is active in firm leadership and currently serves as the Chief Financial Officer. During his career at Meadows & Ohly, Van has served clients in the core areas of strategic planning, development, acquisitions, property management, financing and investor relations. As a Principal, he contributes to all ownership decisions including growth initiatives, strategic alliances and the allocation of professional talent and firm resources. As CFO, Van provides leadership regarding the firm’s financial opportunities and responsibilities as well as Development and Advisory services. He has more than 30 years of real estate experience, and has participated in the development or acquisition of 3 million SF of physician offices and outpatient facilities valued at more than $800 million. Van is married and has three college age children. Van and his wife, Lisa, are members of Gwinnett Church. Through the years, he has served various churches as Deacon, Elder, Sunday School teacher and small group leader. Van also has coached various youth athletic teams. He enjoys outdoor activities, golf, traveling and anything connected to family fun. Van retired from the firm's day-to-day activities at the end of 2018. Brian joined M&O in 2011 as a Client Services Associate after spending 20 years in Multi-Family Development where he ran a Regional office for one of the largest privately held development companies in the country. In 2015, Brian was promoted to Vice President of Portfolio Management and Leasing. Brian is also responsible for all aspects of the client relationship with the Bon Secours Health System, including Leasing Management and overall real estate strategy. Brian is married and has two children. He enjoys spending time with his family, golfing and rooting on his TCU Horned Frogs. Chris joined Meadows & Ohly, LLC in 2006 and became a principal of the firm in 2012. With over 13 years of focused healthcare real estate experience, Chris provides a wide array of real estate consulting services to hospitals and physicians, including site location analysis for outpatient centers, feasibility studies, FMV reports, and asset optimization studies to improve the operating performance of existing facilities. In addition, Chris provides leadership for the development, acquisition, and monetization of medical office buildings and outpatient centers. His development experience ranges from $4 million single purpose clinics to over $20 million medical office buildings. Chris has also provided strategic planning and management of multiple complex inpatient and outpatient healthcare renovation & expansion projects, including a bed tower renovation, building systems upgrades to an ICU, ambulatory surgery centers, and physician offices of every major medical specialty. He is married and has three young children. Chris enjoys family ski trips, playing rugby (mostly "touch rugby" these days) and teaching Sunday school at his church. Tom Rhodes joined Meadows & Ohly in 1987 and became a Principal of the firm in 1989. He was named President in 2010 and Chairman in 2012. Tom has successfully negotiated more than 2.5 million square feet of medical office leases and has actively participated in leading development and acquisitions of 3.2 million square feet of physician offices, outpatient surgery centers and other ancillary facilities with a value exceeding $1 billion. Over the course of Tom's career, he has held leadership roles in all of the core service areas of the firm including strategic planning, development, property management, construction management, financing and investor relations. While still actively involved with consulting and strategic planning for clients, his primary focus is now on strategic leadership for the firm. Tom is married and has two adult sons. He is active as an elder, discipleship group leader and director of campus development projects at Perimeter Church along with serving on the Advisory Board for Family Life. He has also served as a member and Chairman of the Board of Directors for Providence Christian Academy. In his spare time, he enjoys golf, sailing, any water sports with his family and running. Jennie joined M&O in 2003. She is responsible for directing all aspects of accounting operations and financial reporting. She manages the company’s banking relationships and assists senior management with financial planning. She was named vice-president in 2015 and serves on the executive leadership team. Jennie is a Certified Public Accountant and spent six years in public accounting before joining M&O. Jennie and her husband Brennan have three children. They are active members of Dunwoody United Methodist Church. Jennie enjoys playing tennis, traveling, and spending time with her family. Joe joined Meadows & Ohly, LLC in 2001 and became a principal of the firm in 2008. Joe worked in the healthcare market for the majority of his career and gathered experience from several different viewpoints including cardiovascular equipment sales, consulting for the functional design of hospital clinical space and health care real estate leasing and development since 1999. Joe served Meadows & Ohly's clients primarily as the team leader for development projects which included strategic consulting, feasibility, project design, construction management and physician investor relationships. Joe and Judy married in 1981 and have three children and five grandchildren. Joe serves as an elder, discipleship leader and children's church teacher at Perimeter Church. He served on the board of directors at Rainbow Village and was the volunteer leader of the development team for their campus consolidation project. He also serves on the board of PACT Ministry. Joe retired from the firm's day-to-day activities at the end of 2017.